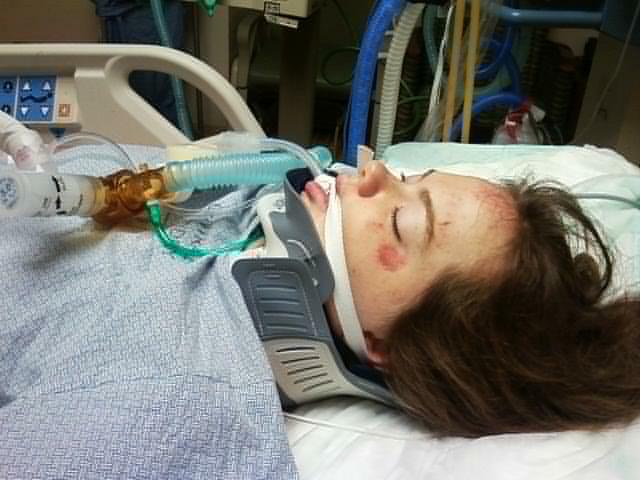 In a couple of my previous blog posts I mentioned an accident that my sister was in. I made this video recently about her. The music in the video is music that she actually composed. Her story has touched many people and proves to us that angels were watching out for her that day. On the day of the accident as we sat in the hospital waiting to hear something. I looked at the keys to her car that I held in my hand. Her key ring said, “Everything happens for a Reason.” At that moment, knowing that it would take a miracle for her to live, that message seemed to remind me that God was in control. This entry was posted in Family, Inspiration, Storytelling, Uncategorized and tagged Accident, broken back, Broken bones, broken neck, femur, hospital, physical therapy, ribs.